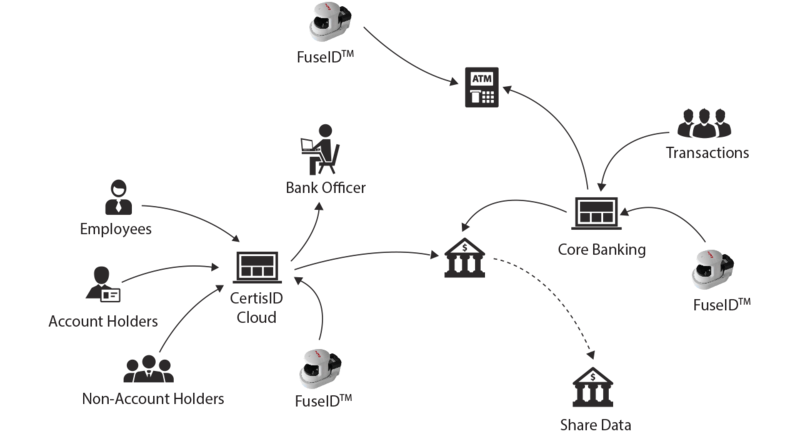 Customizable biometric identity, document management and ‘know your customer’ cloud solution for the banking and financial services industry. 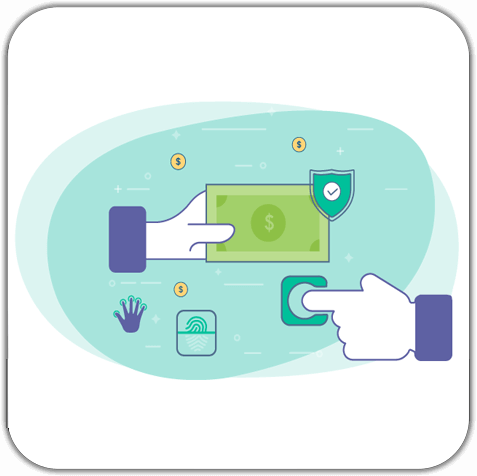 M2SYS CertisID is a biometric customer and employee identification solution for the banking and financial services industries to help prevent fraud, protect assets, and establish a concrete audit trail of transactions. With the ability to support fingerprint, finger vein, palm vein, iris, facial, and voice recognition, CertisID enrolls customers and employees using their unique biometric credentials and provides a higher level of security than passwords, personal identification numbers (PINs), or ID cards. CertisID will ensure that an account holder’s identity is accurate through biometric identification but also has the unique ability to enroll and identify all non-account holders to track their activities via built in artificial intelligence (AI) capabilities. In addition, all employees will be accountable for their data access and transaction activities through CertisID if a single sign-on solution is added. Authorize local Identity agencies to collect data Criminal records from entire country and also share with the Participating Institutes/Banks who are deploying CertisID solution. User friendly, interactive, dynamic and user specific dashboard with different types of analytics. Our enhanced customization engine allows to include any demographic field at any time even after the project live. For biometric data capturing all types of required device drivers will be automatically downloaded and configured to client workstation. So no technical assistance will be required to launch a new workstation. Graphical presentation of different types of analytics in the dashboard will give a very quick overview of system data. Our dynamic dashboard engine will allow administrator to add/modify any types of analytics with different types of graphical presentation at any time. Using our extensive reporting tool you will be able to create/generate a varieties of reports and it will also allow you to export those reports directly in different type formats such as PDF, XLS, XLSX, CSV, XPS, HTML, TXT, RTF and so on. User management will allow the administrator to manage users very easily and effectively. Administrator will also assign a particular to have access a particular set of data in a particular region. Any capture device can be added/managed by the administrator which will not require any technical assistance at the workstations. Web Browser: Internet Explorer 8 or later, Google Chrome, Mozilla Firefox 3 or later.